Fundraiser by Anne Morgan : Help Publish This Geoglyph Book! Help Publish This Geoglyph Book! As many of you know, I’m a huge book person. Always reading, writing, or editing (my work or others!) I’ve worked with books forever. I even went to “library school” to become an archivist. So it should be no surprise that one of my dreams has always been to publish a book. And now I’ve got the chance! I've been working with Harry Casey on a photography book. Harry Casey is a life long Brawley, California resident. 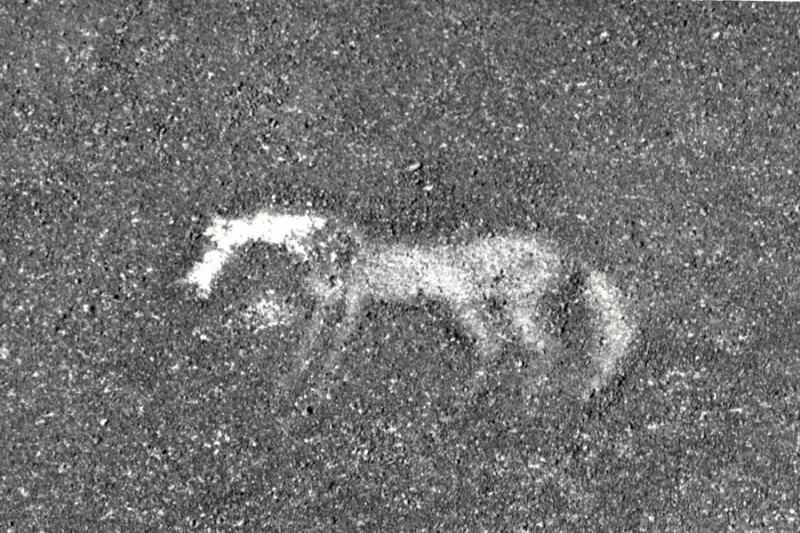 For the last 35 years he worked with Imperial Valley College archaeologist and professor Jay von Werlhof on an amazing labor of love: documenting the hundreds of (virtually unknown) geoglyphs of Southern California and Arizona. 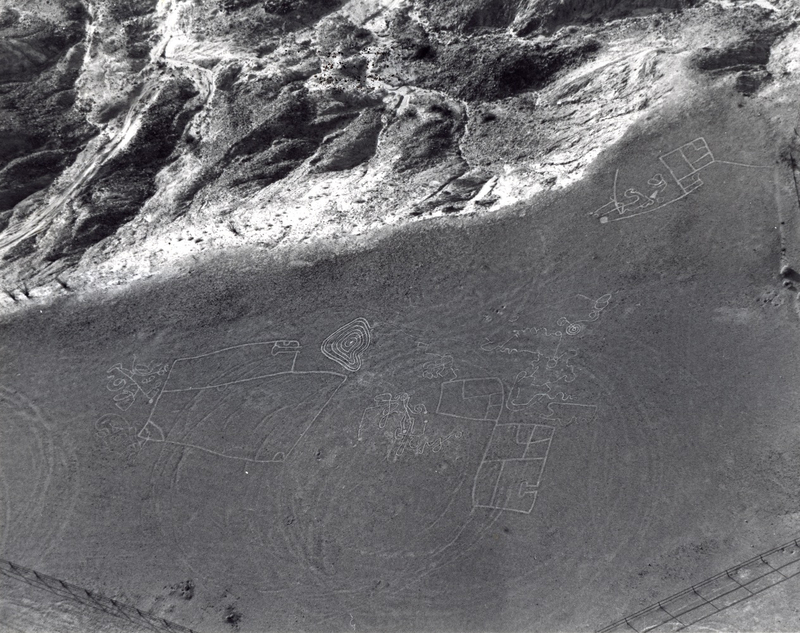 He has taken thousands of aerial images of geoglyphs across Southeastern California and Southwestern Arizona- also known as “America’s Nazca Lines”. Harry has donated his entire photograph collection (over 8,000 images!) to the Imperial Valley Desert Museum . 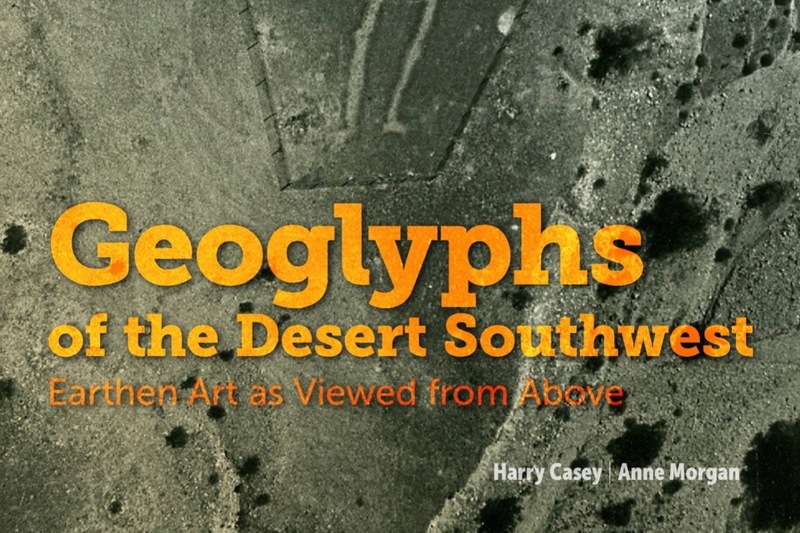 While working at the museum I also became fascinated with geoglyphs and became determined to publish Harry’s life’s work so everyone can experience more of the beautiful mysteries of our deserts. I’ve spent the last month at the IVDM digitizing these images and talking with Sunbelt Publications about publishing. Now it’s down to raising the money to make it happen! The entire publication process will cost $10,600, to be paid in 2 installments- the first half due by October 30, 2017. Help me make my dream and Harry’s a reality by getting Earthen Art of the Extreme Southwest published! I will thank everyone who donates by including their names in my acknowledgements in the book. Let me know if you have any questions- I'd be happy to answer them! The book tour schedule is confirmed! If you're in the area I hope you'll consider stopping by and saying "hi". If not, please message me with your mailing address- I would like to send you a signed copy of the book that your support helped make a reality. Thank you!! Friday, April 12: I will be interviewed for KPBS Midday Edition. I'll let you know when there's a link to the interview online. Sunday, April 14: I'll have a table at the San Diego Natural History Museum's Family Day from 11am-3pm. The museum is amazing ( https://www.sdnhm.org/calendar/family-programs/family-days/) and I definitely encourage everyone in the area to check it out, and stop by to say hi. Wednesday April 17: 5:30-8pm I'm presenting at the monthly meeting of the San Diego Association of Geologists, always a fun group to hang out with! Great news! I have an official launch date from Sunbelt Publications for the book! It will be released Saturday, April 13. So far I have several events/talks scheduled over the week and possibly more coming, but the big launch party will be April 13 at the Imperial Valley Desert Museum. Check their webpage www.ivdmuseum.org for details & I will let you know details as I get them. Thanks for your support! Exciting news! This weekend I got the book proofs for the book from the publisher! A bit later than anticipated (computers crashed & burned, life happened) but so close now! We have a possible cover, I'm going over the proofs, and the publishers are working on some final regional maps. Thanks to your help and support, this book is nearly published! Share with your friends & spread the good news! Good news everyone! I'm in the (nearly) final edits of the manuscript and Sunbelt Publications is looking at layouts. Now we will be choosing some good maps and working on the cover image. I hope to have some possible covers to show you all soon!